I absolutely love giving gifts, but let's be honest, they can be a real strain on the budget. This year seemed especially tough. Although I did have quite a few more people on the list than usual, in the spirit of Christmas, I bought and gave, and bought and gave some more. It felt really good, until I actually crunched the final numbers on my Christmas budget sheet and found I went $76.00 over my original budget. To be honest, I was shocked! I'm normally so good at setting aside money every paycheck to go into our Christmas fund, but for some reason, I just didn't save enough. That is definitely not going to happen again this year, and I'm trying out a new strategy that is simple, motivating, and practically foolproof. Want to take a peek? I really wanted to make saving for Christmas a weekly habit, starting immediately. So, I browsed around Pinterest and quickly stumbled upon a 52 Week Savings Plan that seems to be really popular right now. This plan gradually increases your savings each week until you have $1,000+ saved by the end of the year. Many users have downloaded it to save for Christmas, but after studying the plan further, I just don't think it works. By the time December rolls around, you set aside $40-$50 each week, and I don't know many people that can do that during the Holiday season. I certainly can't! The premise is good, but it's just not practical. Instead, I believe setting aside a fixed amount every week will create the savings habit that a gradual increase cannot. You will still end up with a decent amount to spend by Christmas, but with half the stress, and double the consistency. 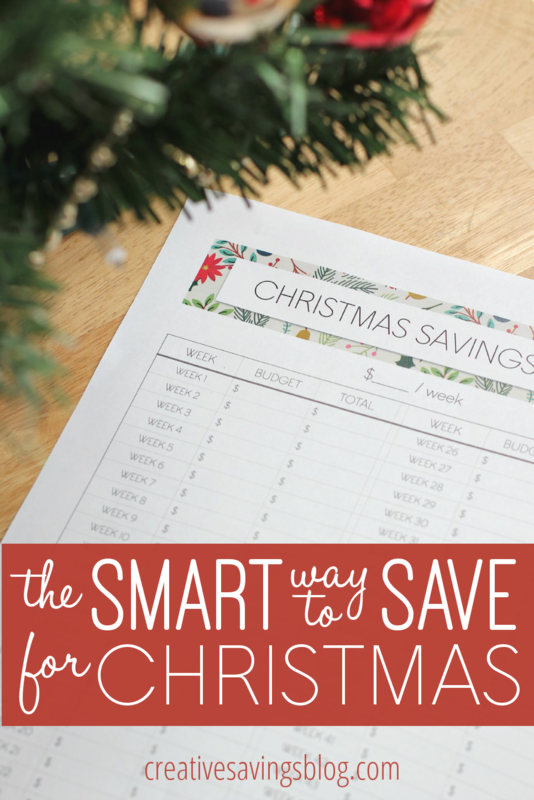 I quickly went to work on a new Christmas Savings Plan, and I'm so excited to share it with you. The best part is you get to choose how much you want to save! Because everyone's financial situation is different, I created four separate worksheets to download. Choose one based on what you can reasonably set aside each week until Christmas, and if none of those amounts work, then use the customizable plan to completely make your own. A good practice to get into is to add up all Christmas receipts from the past year, divide the total by 47 weeks, and determine your budget from that amount. 1. Set the budgeted amount aside every Friday. You can use the cash envelope system, open a new bank account specifically for this purpose, or create a new column in your budget spreadsheet. For the customizable plan, use the method I mentioned above, and fill in your weekly number in the budget section of the worksheet. You will have to add in your totals manually. 2. Highlight each week as you pass that milestone, and watch your total column continually grow. By December 1st, you can start shopping for Christmas gifts debt-free. Yay! 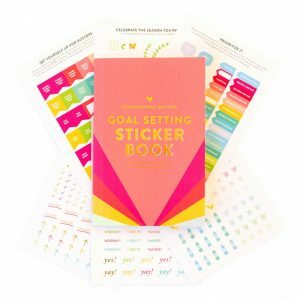 Keep this worksheet handy in a financial notebook that you refer to often, or hang it on your fridge as a weekly reminder to meet your Christmas goal. In December, it will feel so good to have all that money stashed away without dipping into your everyday budget. Already I feel the pressure of Christmas lifting, don't you? Now I can't wait to start shopping for Christmas! How do you save for Christmas? Last year was the first time I did not go into debt for Christmas. Yay! I only used my CC for one transaction and already have the money set aside. What I did was open a separate account through my Credit Union and have the money automatically transferred there monthly, which is when I get paid. I don’t have an ATM card for that account so whenever I need money, I have to call and request a check. This makes it much easier to keep my hands off of it, since it’s not connected to my primary bank accounts. It worked beautifully last Christmas and made for a truly enjoyable time with no stress. That’s awesome! I love that you have money transferred automatically so you don’t even have to think about it! I have seen others use the reverse method, and I’m glad you’ve had success with it! I used the 52 week money plan last year. At week 27 I started over at $52. I saved over $2000. I paid for Christmas gifts…even a few for myself…AND my daughter’s wedding dress. With a little left over. I started it again this year with another tweak – Week one $52, week two $52, Week three $51, Week four $51 and so on. So, I’m still doubling it but all the higher amounts are paid into the account during the busy time of my work when I make more money. I loved shopping for Christmas last year not really thinking about what things cost. Bonus was not credit card bills in January!! Wow, that’s awesome — way to go!! Ever since we got married almost 12 years ago we have been doing the same thing which is save a fixed weekly amount. We determined how much we would spend on birthdays and multiplied that number by how many birthdays we had to buy for. Then we set an amount we would spend on Christmas gifts, Father’s Day, Mother’s Day, and any other yearly celebrations. We added all those along with the amount for birthdays and split that by 52 weeks to get our weekly budget amount. Our income has not grown along with the family so we have had to adjust by lowering the amount we spend on each of these gifts. For me, knowing how much I can spend on each person for the various occasions keeps me looking for sales all the time and thinking ahead. Sometimes I forget that just because more people are added to my list, doesn’t mean I have to actually spend more! I am doing the same thing, sorta!! I am doing a year of savings ($25.00 a week) towards a vacation. 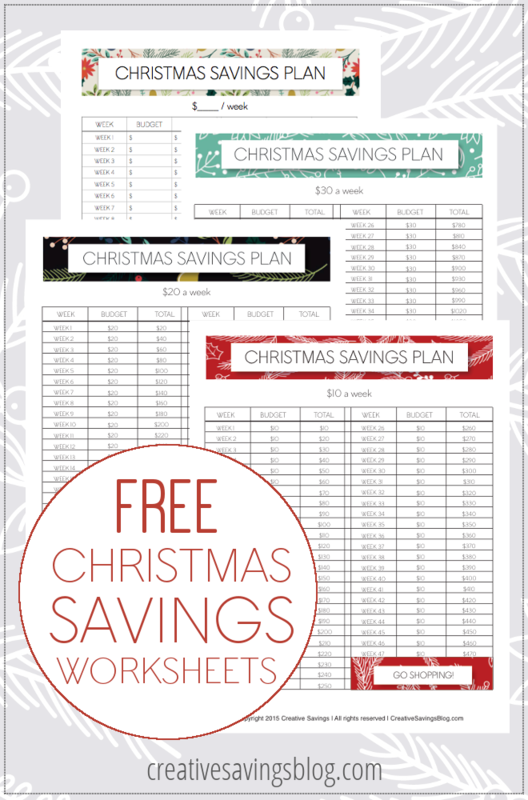 I am using the very savings chart you saw on Pinterest.except that I found a chart that flipped the savings. You start out with the higher amount at the beginning of the year and work your way down. It’s been great-especially since my husband’s job was deleted (for lack of a better word). We already have enough to cover the costs of gifts for all of the grandchildren with a little extra left over for any small emergencies (or to put towards some outstanding debt). That has to be the BEST feeling knowing that you already have money set aside for gifts right now – so awesome! Thanks, Kalyn. Made my husband feel a bit better too. 😉 BTW, love your name! I went to the bank where I have a saving and checking account to open one for a ministry I do for Operation Christmas child. I was informed i would pay $5:00 excuse me to save money in your back which I know you will but with others and loan and make money.